Country recording artist and CCMA Spotlight Contest winner Cory Gallant and The Red Dirt Posse will be making their debut appearance at The Blue Grotto in support of his upcoming album. Special guest Hillside Outlaws. 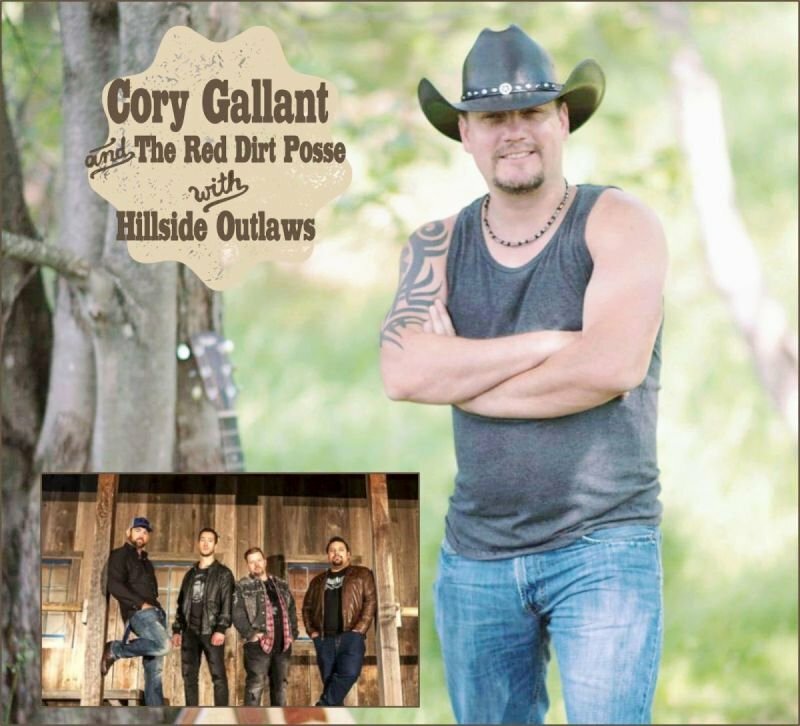 Country recording artist and CCMA Spotlight Contest winner Cory Gallant and The Red Dirt Posse will be making their debut appearance at The Blue Grotto in support of his upcoming album. Tickets: $ 15.00 advance/$20.00 at door/$50.00 VIP with limited seating. Doors open 8:00 pm, band from 9:00 pm to midnight. Cory’s special guest will be Hillside Outlaws (BCCMA Nominees for Country Club Act of the Year as well as Horizon Award Nominee and Songwriter of the Year Nominee for “Hair of the Dog”). Their 2018 debut album, Country Jukebox, has over 100,000 streams on Spotify. For more information about Hillside Outlaws, visit hillsideoutlaws.com. Hillside Outlaws' video for "Hair of the Dog"